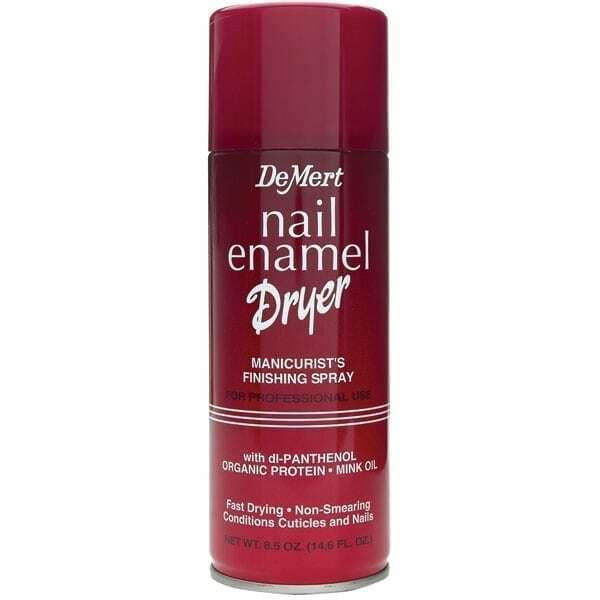 Demert Nail Enamel Dryer Finishing Spray reduces drying time on natural and artificial nails. It contains di-panthenol, organic protein, and mink oil to create fast-drying, non-smearing manicures while conditioning both cuticles and nails. Demert Nail Enamel Dryer Finish Spray 8.5 oz.